Overwhelmingly a calamity affecting youth in many nations, illicit drug use results in broken homes, abandoned children, disease, lost opportunities, and loved ones who suffer along with the addict. Once embarked upon, it is a downward spiral with no stopping place. 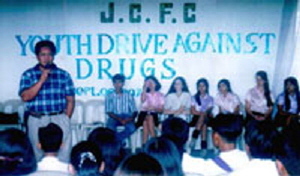 Family Care Foundation drug awareness programs focus on education and prevention using music, drama, and other youth-oriented media. 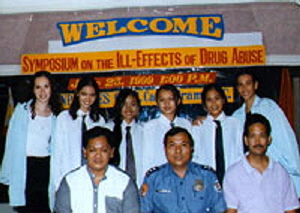 A hip, motivating ‘say no to drugs’ message is conveyed via music, the universal medium of young people. Family Care project partners promote drug education in schools, conduct anti-narcotic presentations and present programs in youth hangouts. FCF is an international not-for-profit charity organization that operates programs and makes grants in developing nations. FCF provides training for grassroots organizations in the Third World, participating in a wide variety of community-based initiatives.